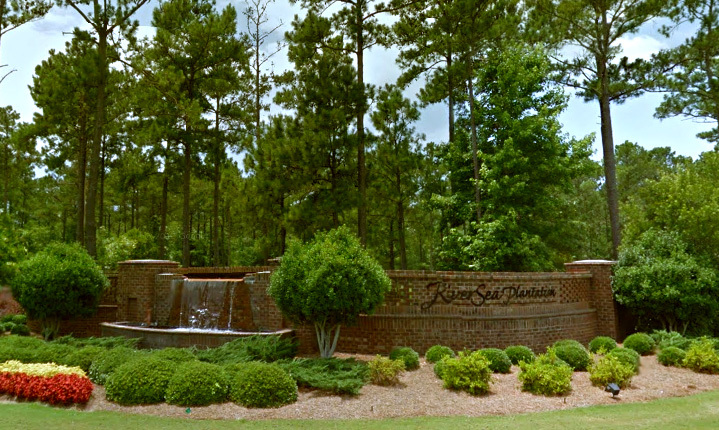 Located just off highway 211 in Brunswick County, RiverSea Plantation is a premier gated community of beautiful homes and outstanding amenities. The 540-acre community along Lockwood Folly River is lush with palm trees and native hardwoods, creating a stunning backdrop for the handsome, low-country architecture that is favored here. Residents enjoy a wonderful lifestyle with access to outdoor and indoor swimming pools, tennis courts, and a clubhouse that includes fitness facilities, locker rooms and a kitchen, as well as designated social and meeting rooms. The neighborhood boat ramp and dock are right on Lockwood Folly River, with an RV/boat/trailer storage area nearby. Throughout the community are numerous ponds and boardwalk trails, and the common green is a lovely park with a pretty fountain pool. The Cottage Building Company has earned a reputation for exceptional design and construction throughout southeastern North Carolina and beyond. We are honored to receive invitations to join the builder teams of many of the region’s most revered communities, including RiverSea Plantation. We share an emphasis on exceptional quality in all areas, making our alliance a natural and easy fit that ultimately benefits our homebuyers. The craftsman architecture that is our signature style is ideal for RiverSea Plantation. From the coastal touches of prominent porches and large windows, to the smart design that often makes even our smaller homes live much larger. Customization is not only possible; it’s encouraged. Every home we build is meant to be a reflection of the homeowner and it’s our goal to provide clients with the cottage of their dreams. The Cottage Building Company offers a wide range of home styles to appeal to buyers in all stages of life. Designs include single and two-story floor plans ranging from 1,262 – 3,500+ square feet, with prices starting in the mid $200,000s.